WE HAVE NOW BEEN OVERSUBSCRIBED FOR THIS PROJECT. If you have already applied then please expect confirmation or non-confirmation of a place very soon. 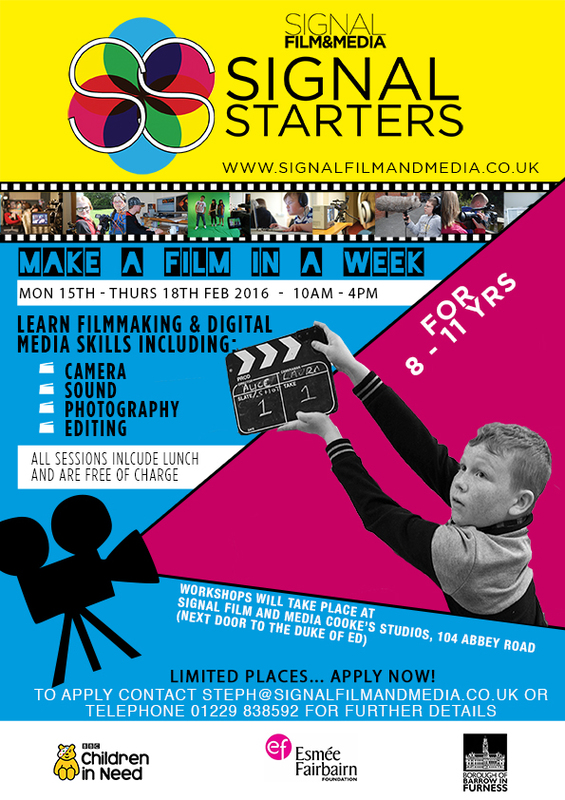 This February we are delivering a weeklong filmmaking course for enthusiastic young filmmakers in the Barrow-in-Furness area. A bunch of 8-11 year olds will get their chance to get involved in the making of a short film with an industry professional, London Director, Sam Harrie. The Children in Need funded project will give participants the exciting opportunity of getting hands on experience of shooting a short film, whilst also gaining an Arts Award qualification to develop their understanding further. During the course of the week Sam Harrie will give a quick master-classes in the technical side of camera and the use of camer-angles. Call 01229 838592 to let us know you’re interested.